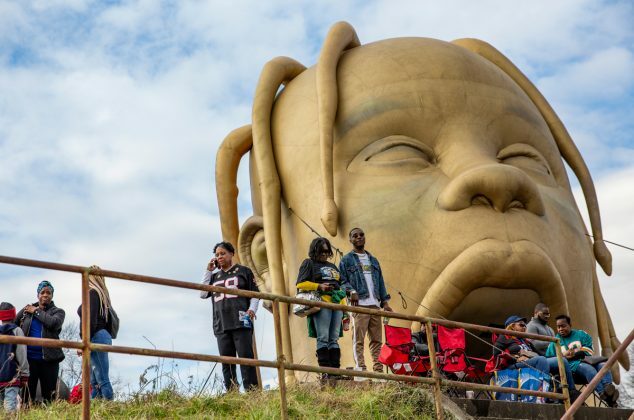 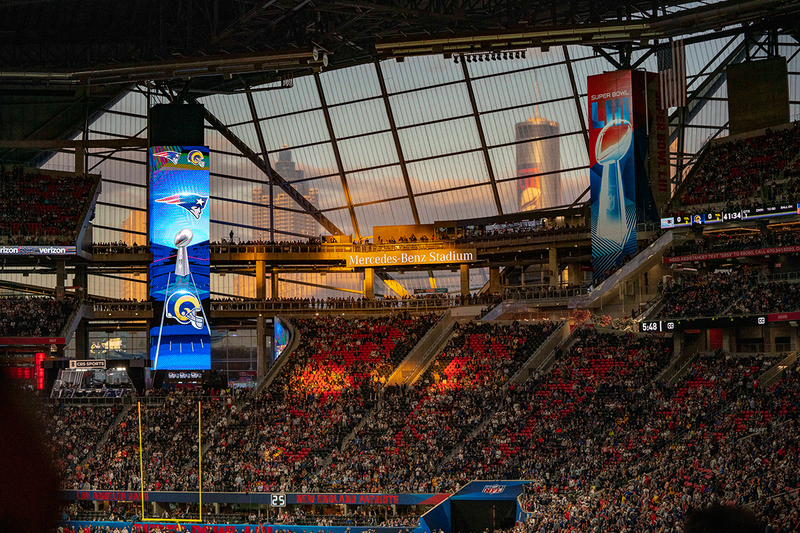 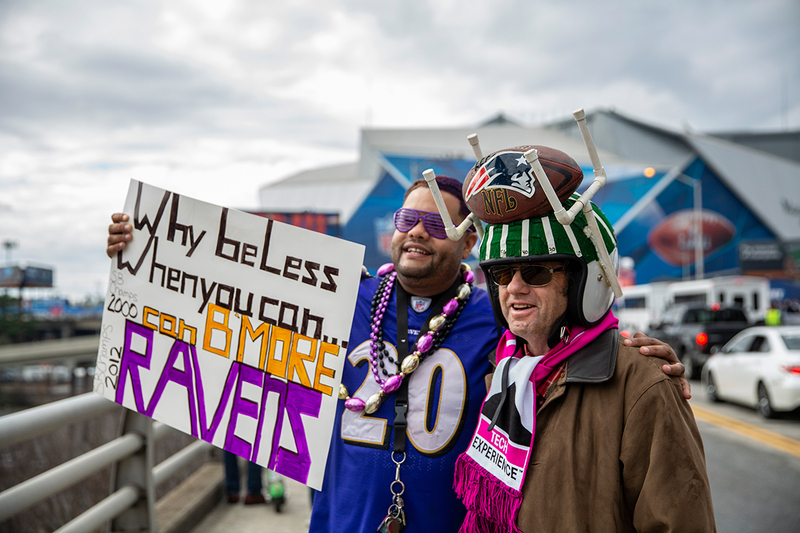 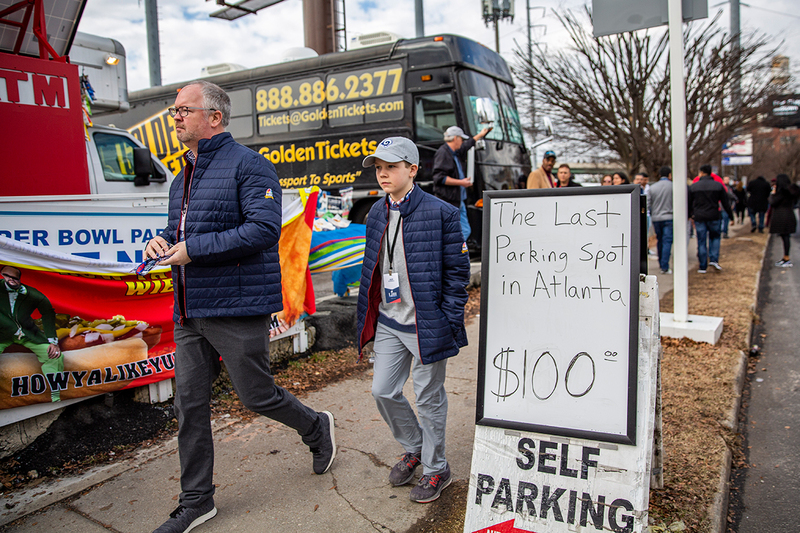 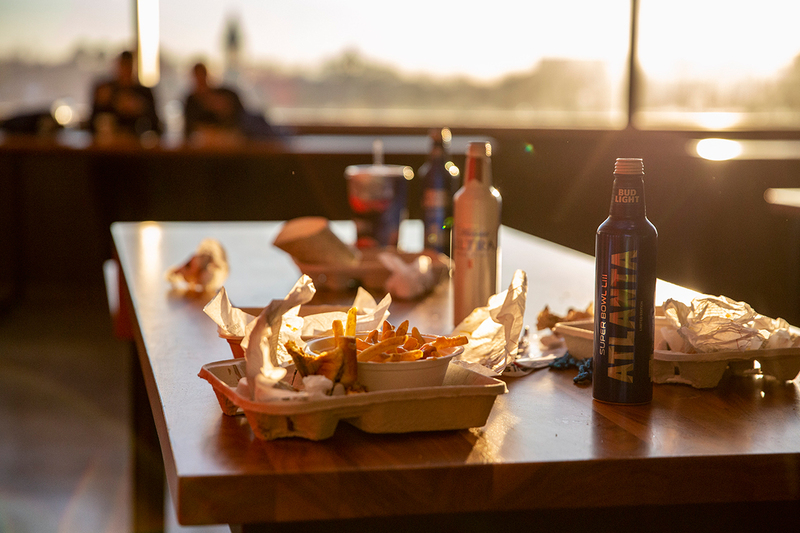 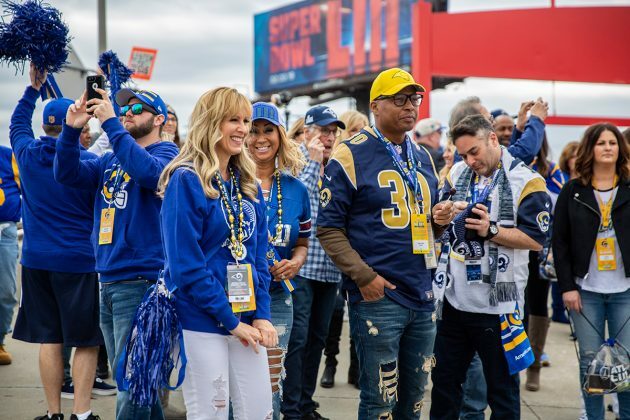 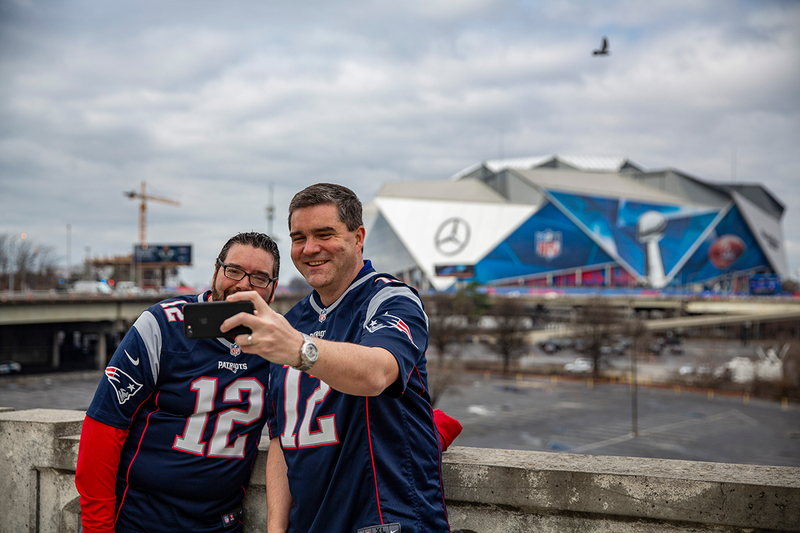 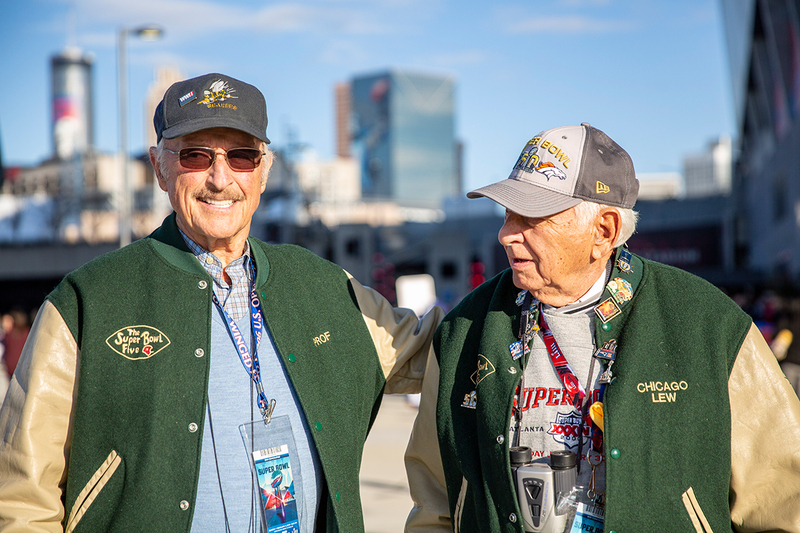 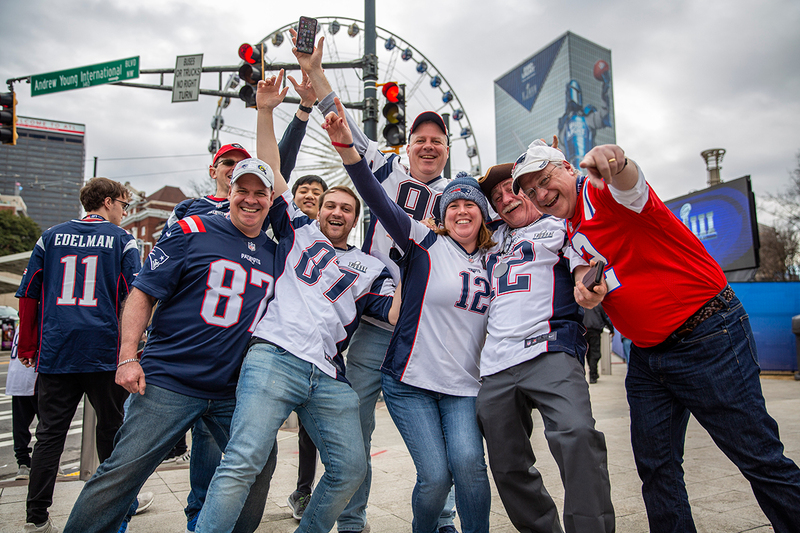 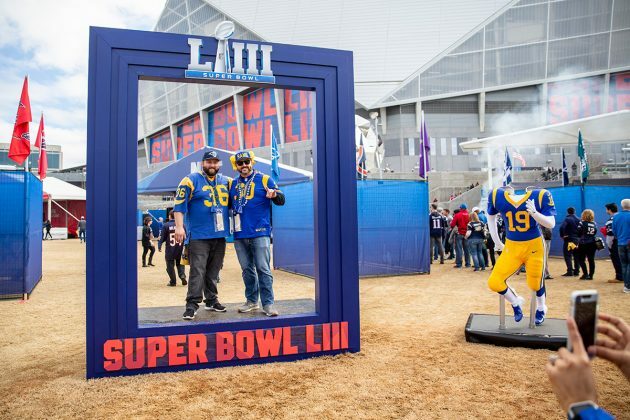 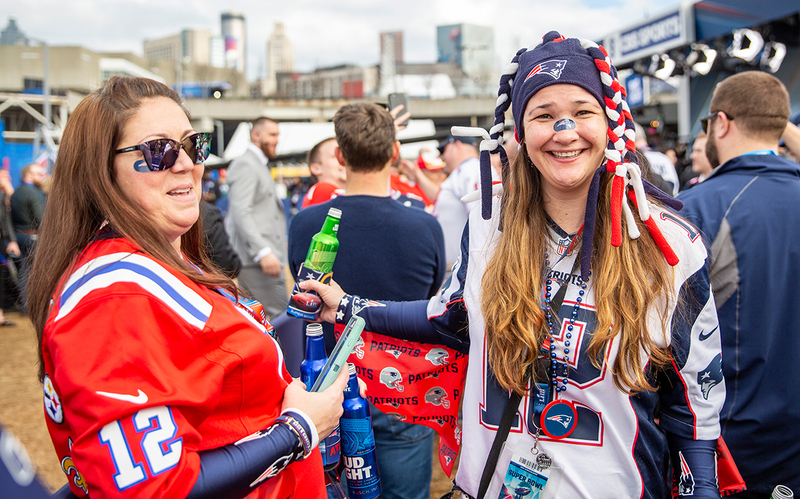 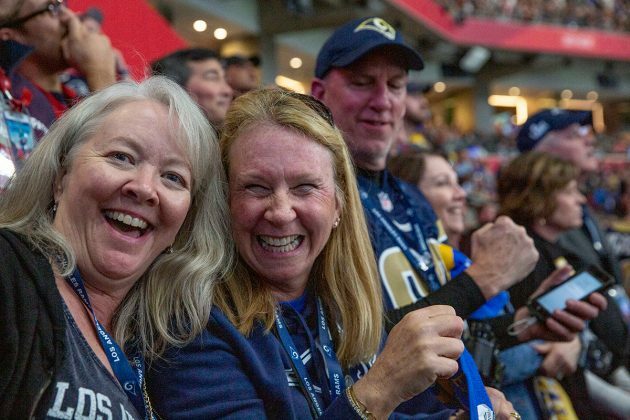 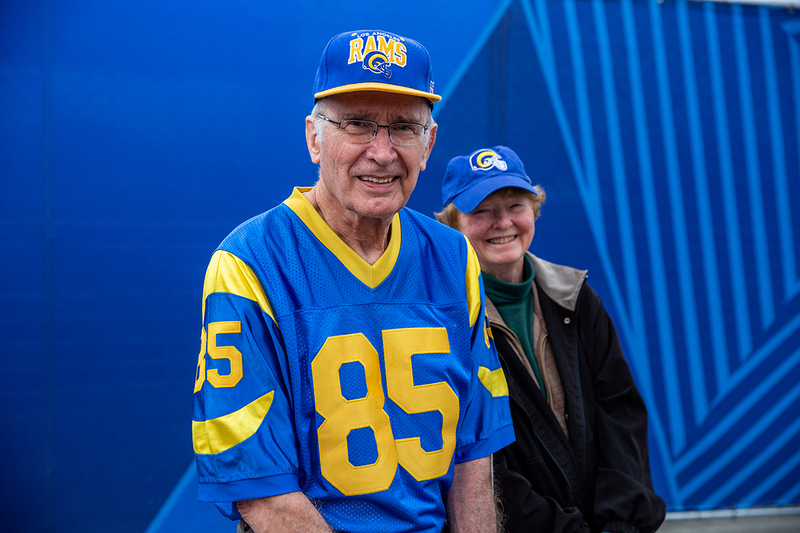 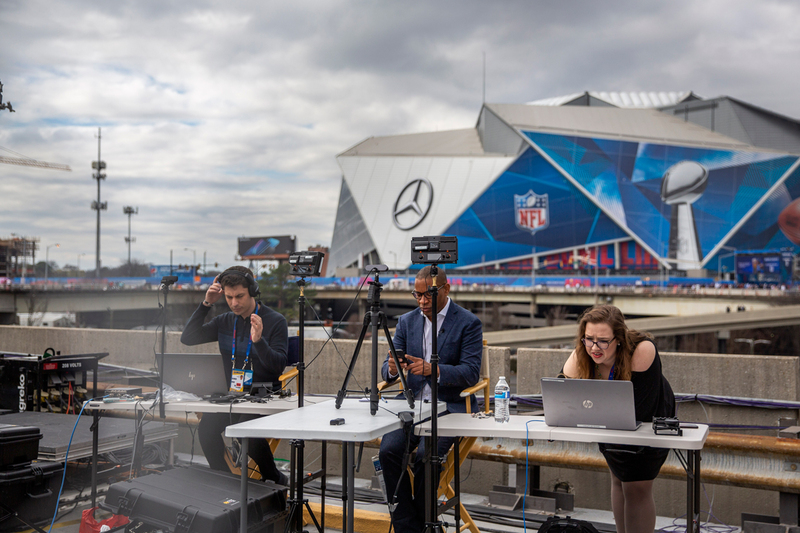 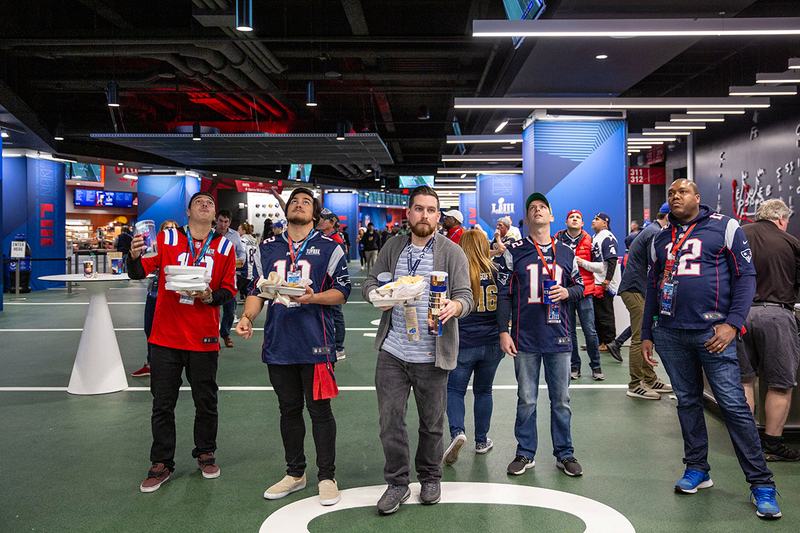 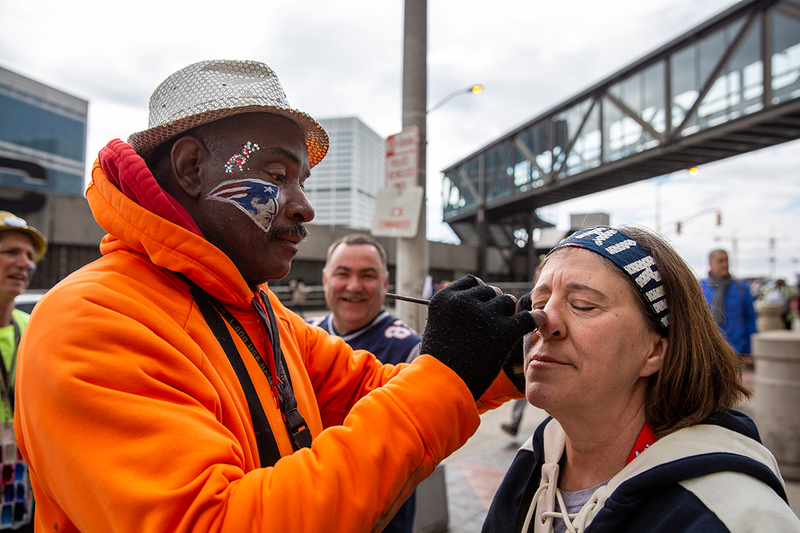 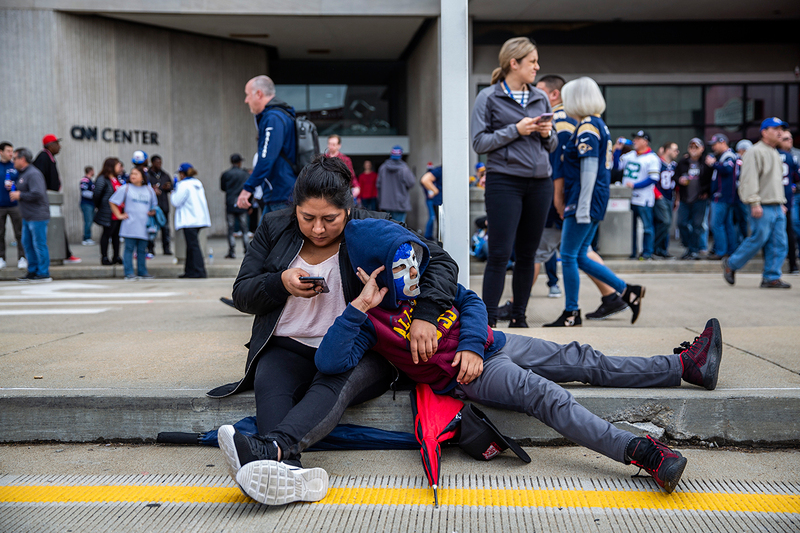 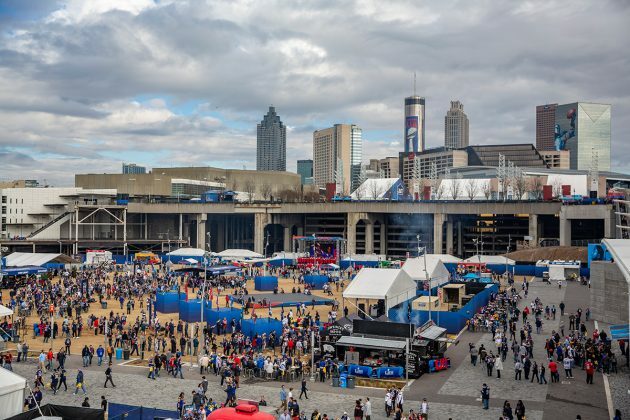 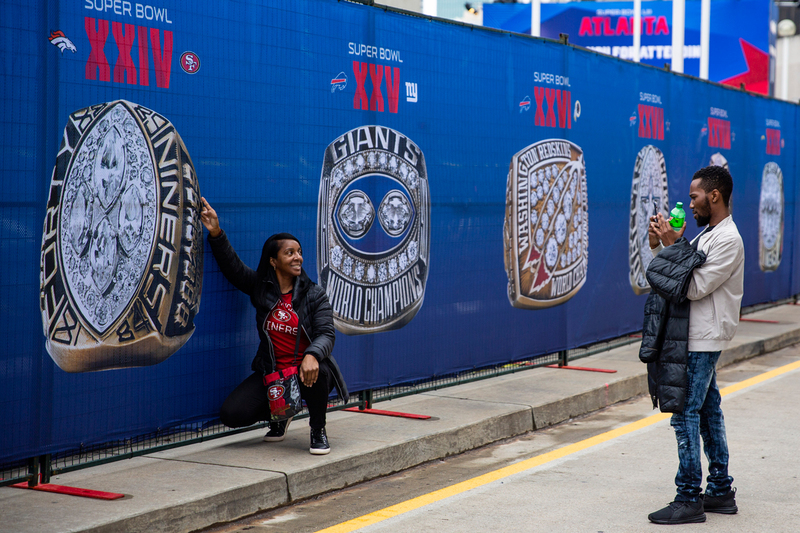 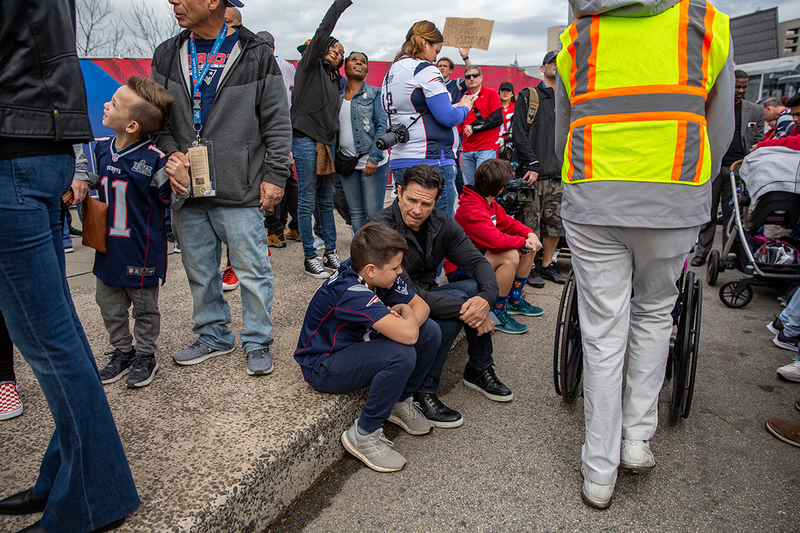 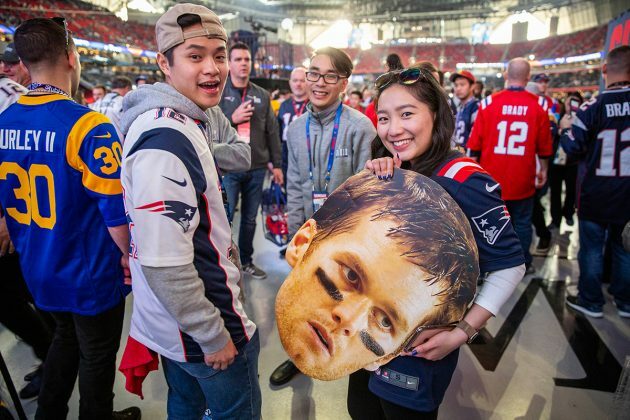 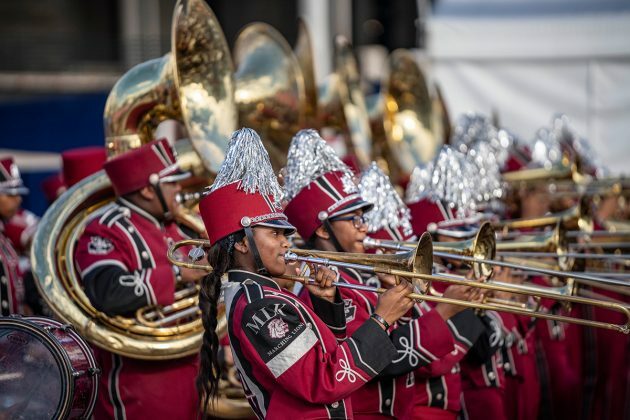 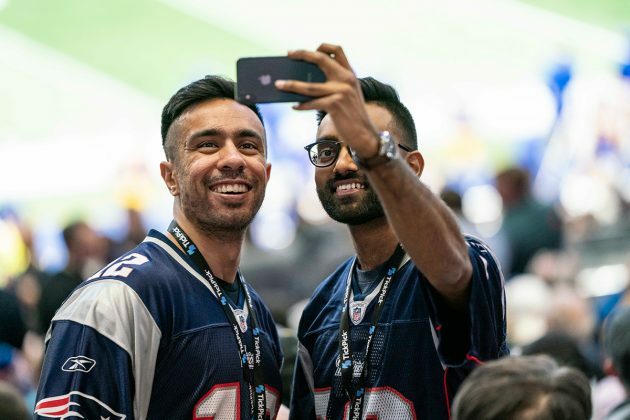 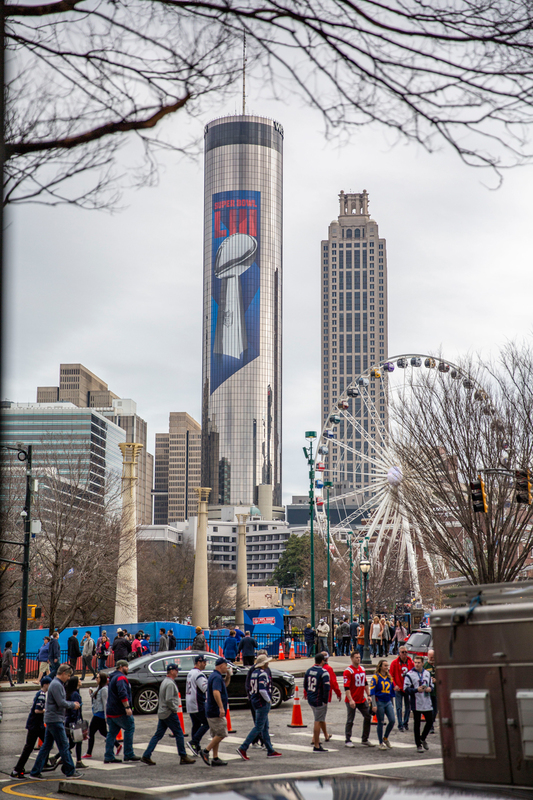 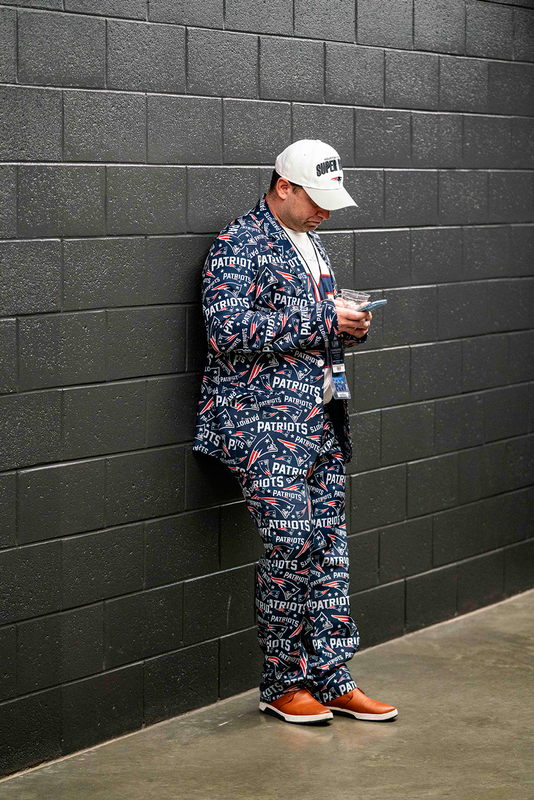 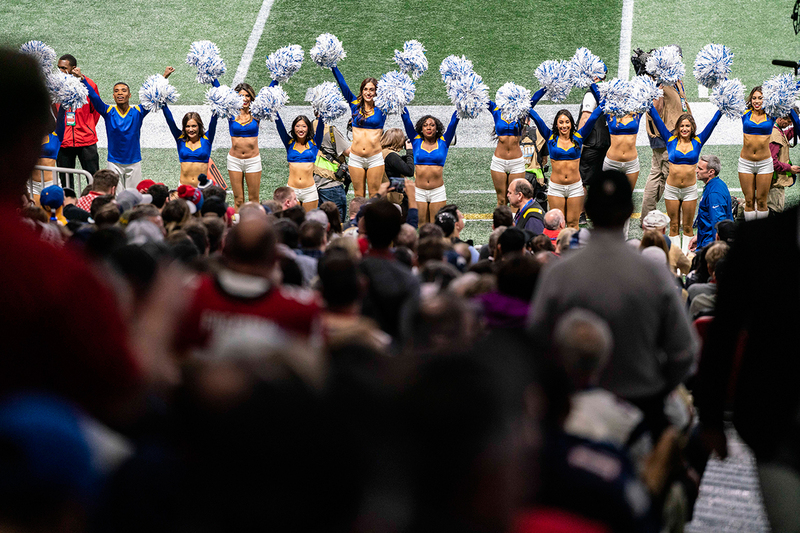 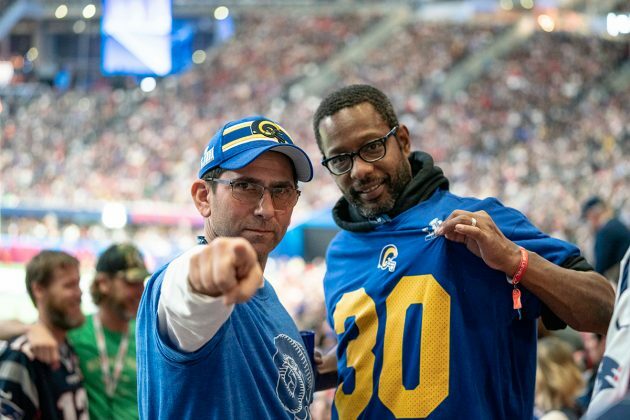 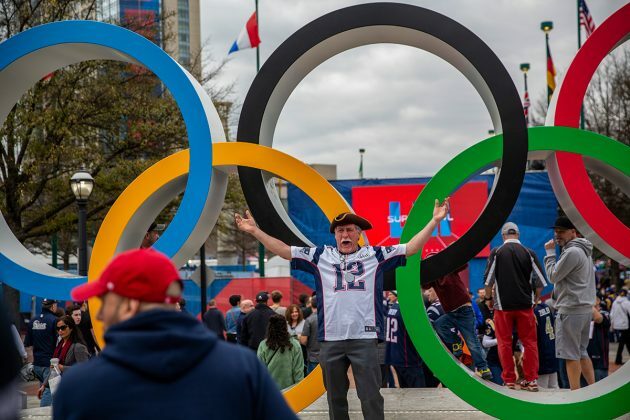 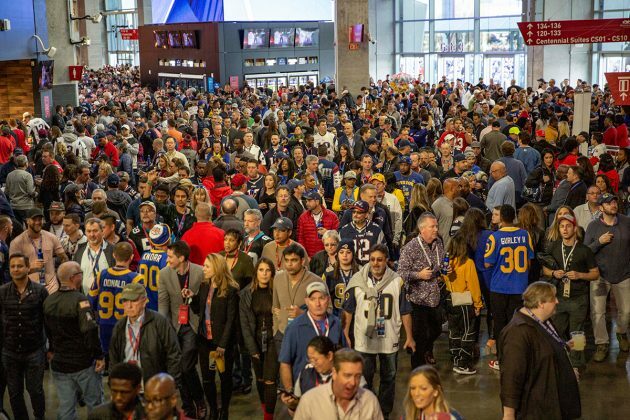 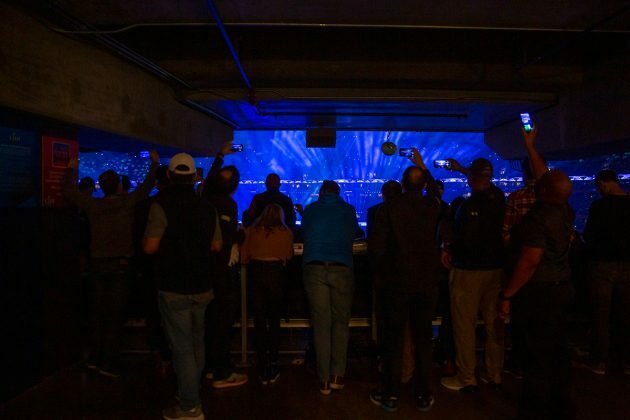 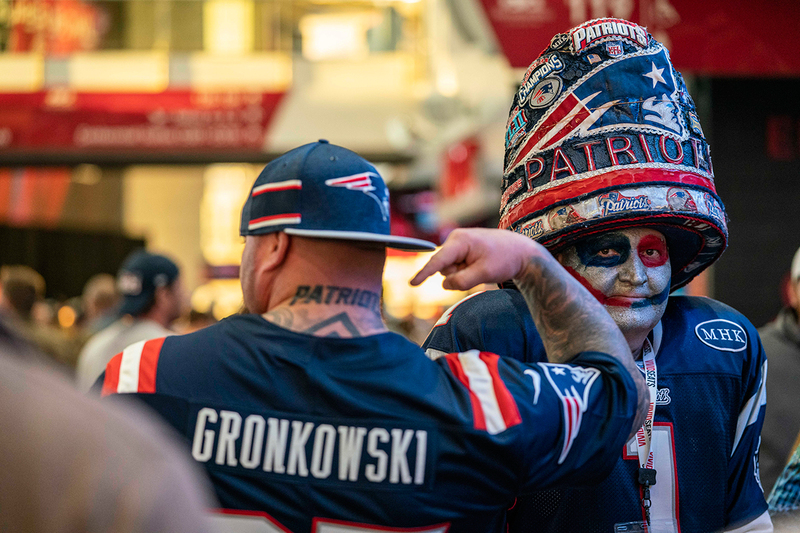 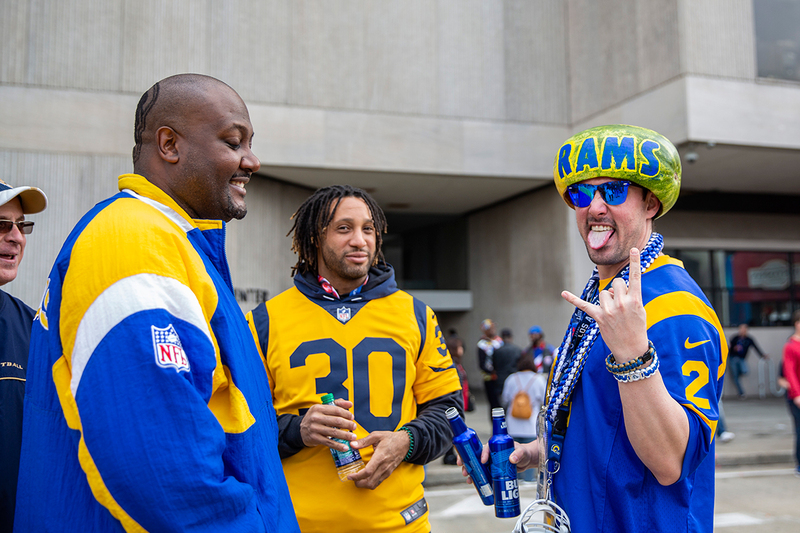 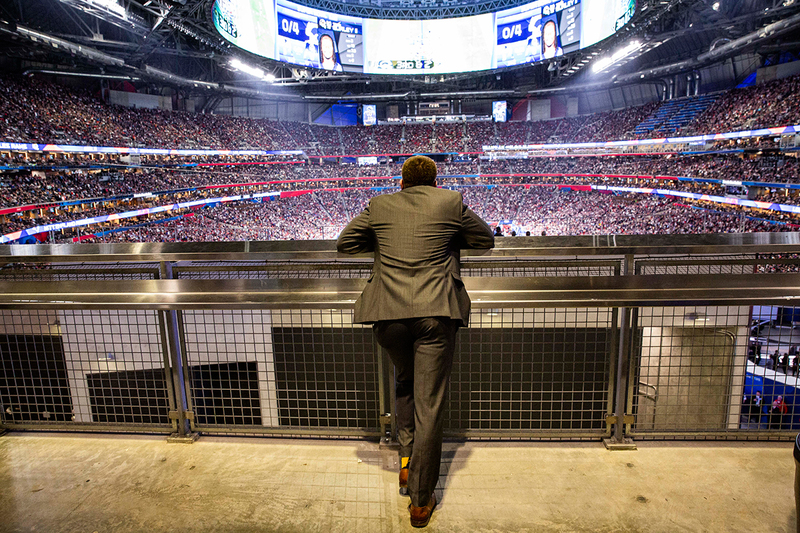 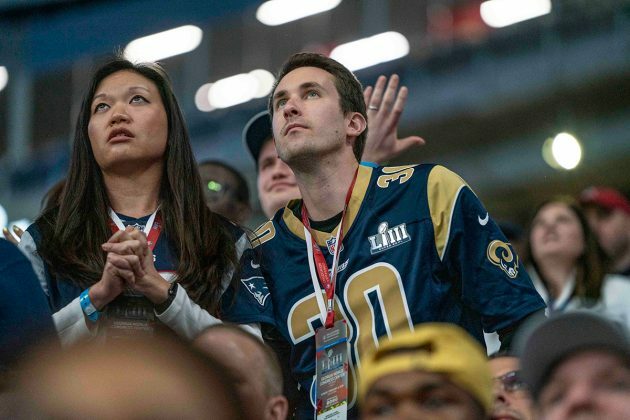 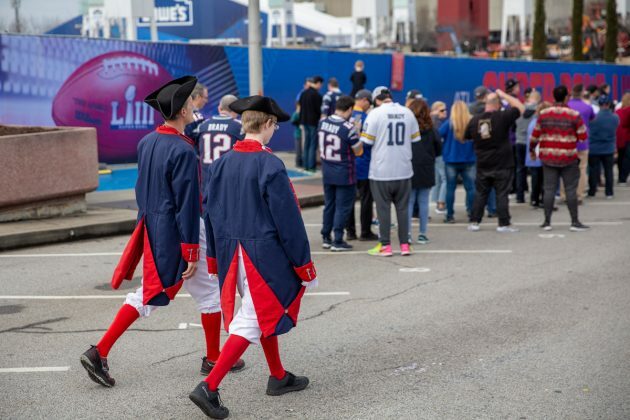 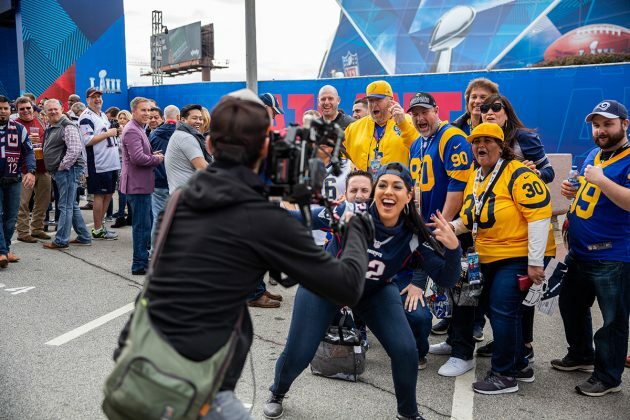 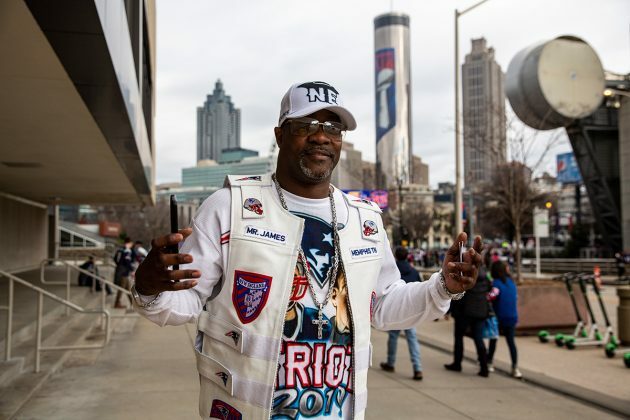 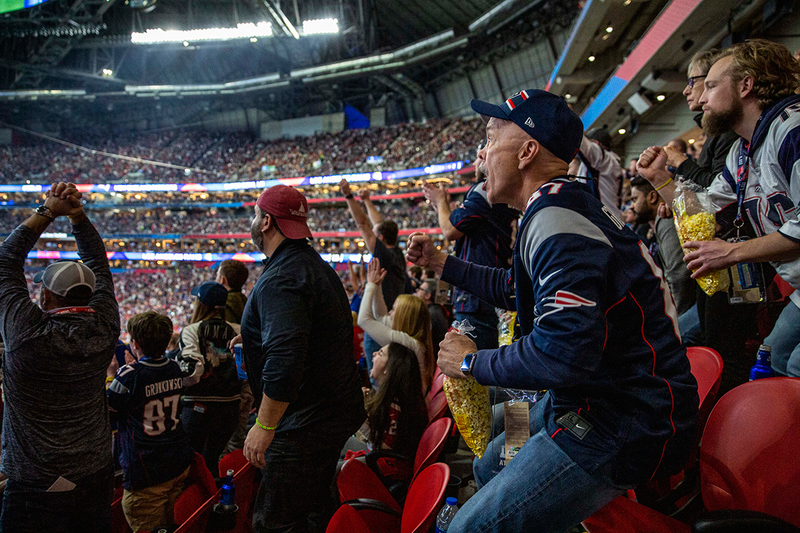 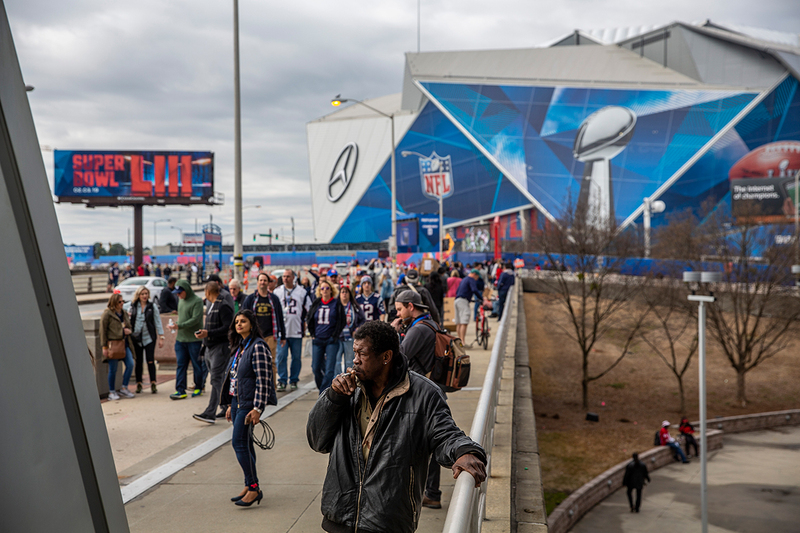 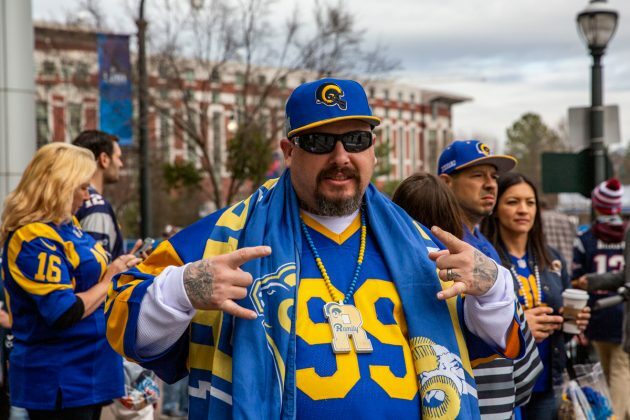 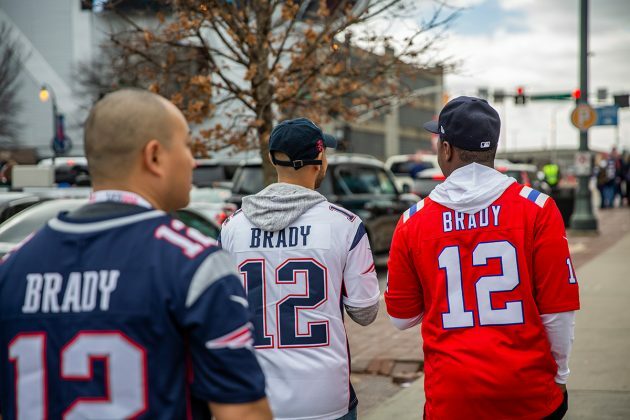 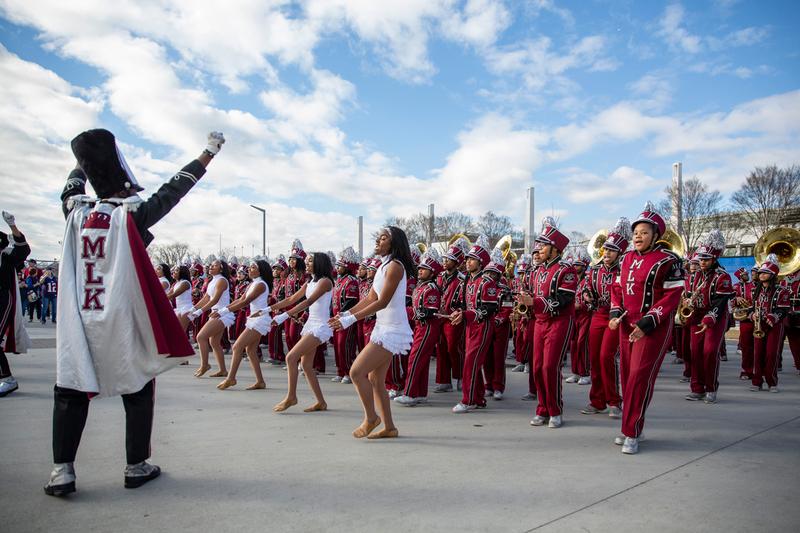 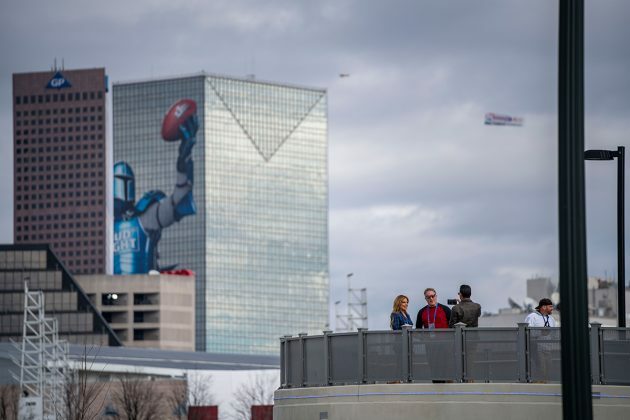 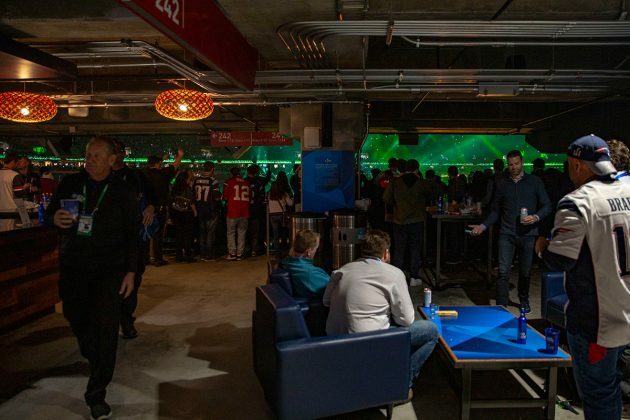 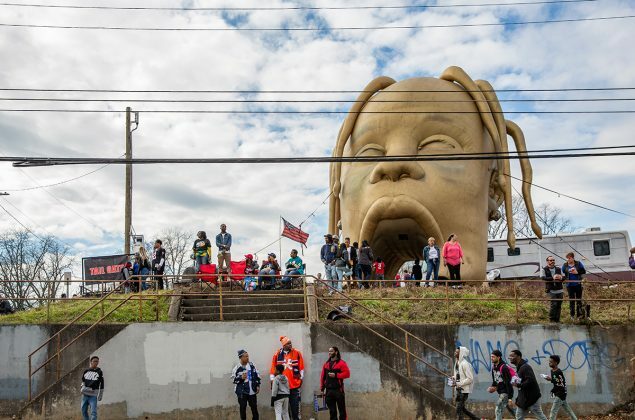 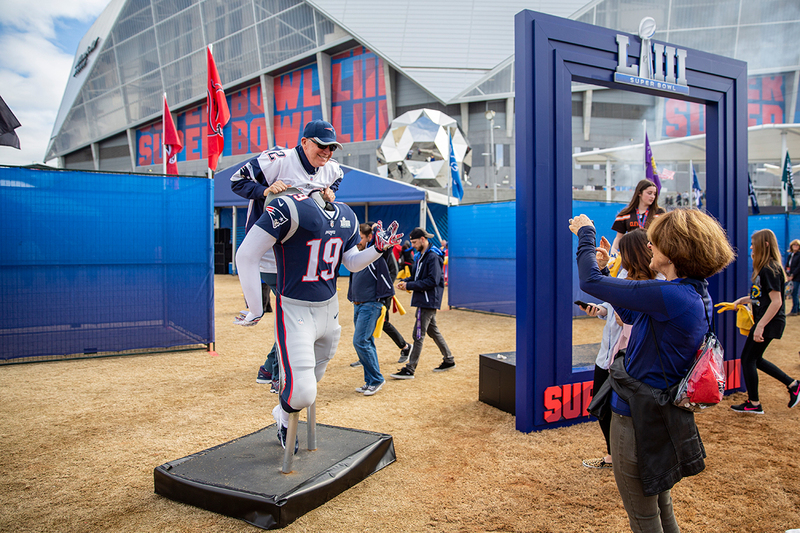 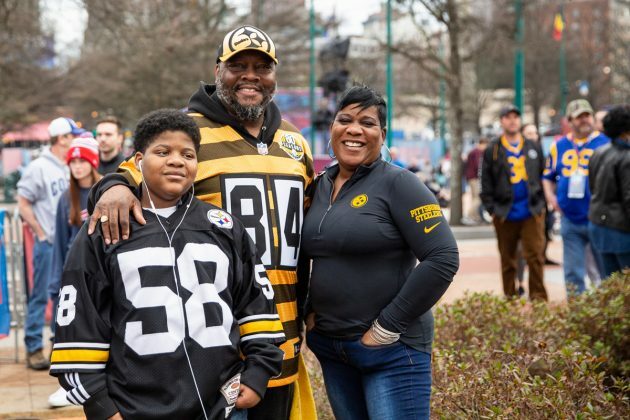 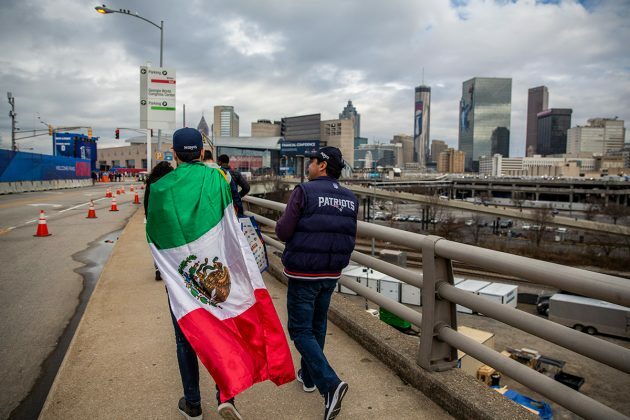 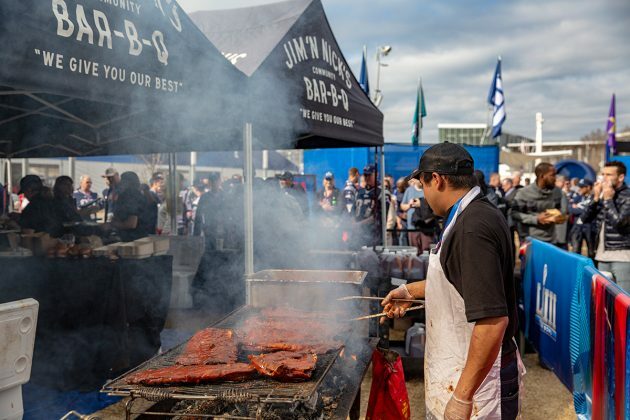 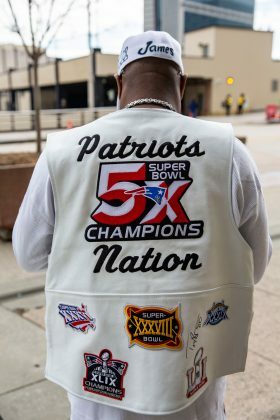 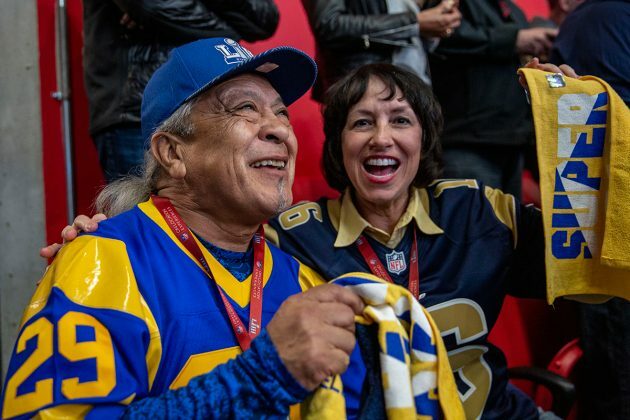 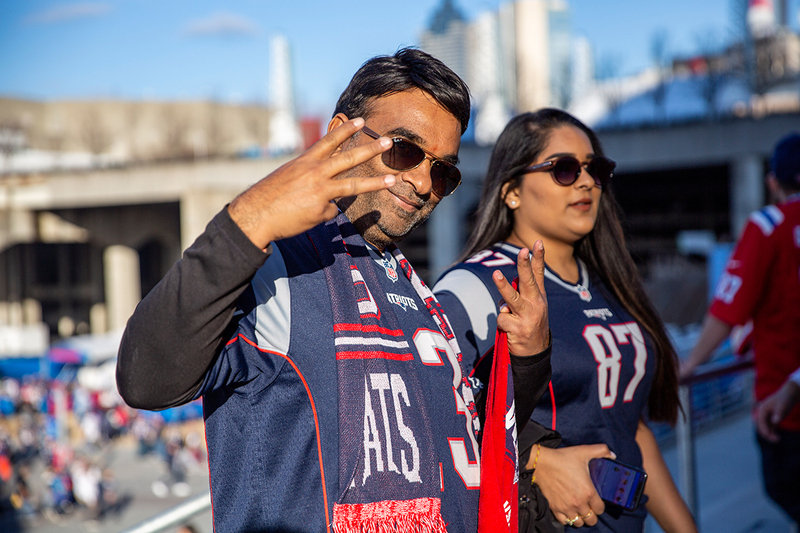 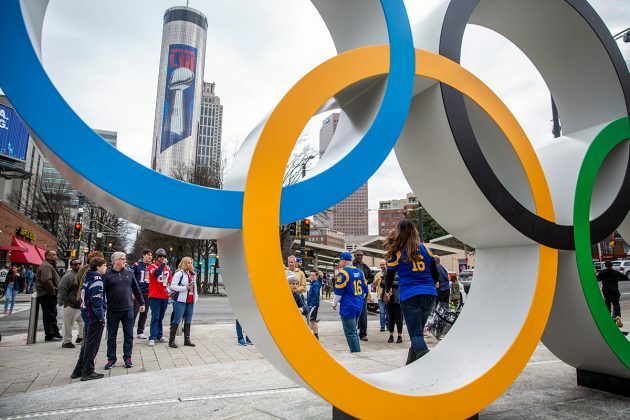 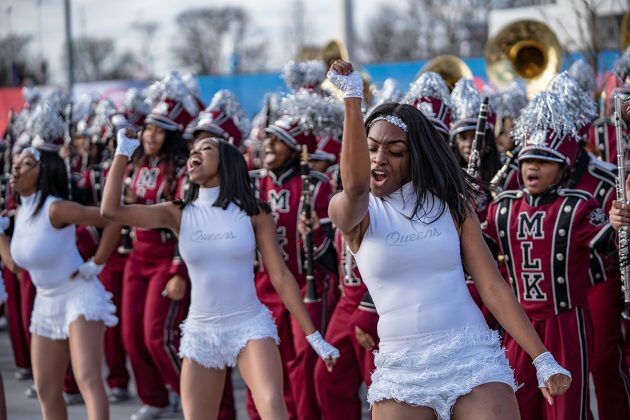 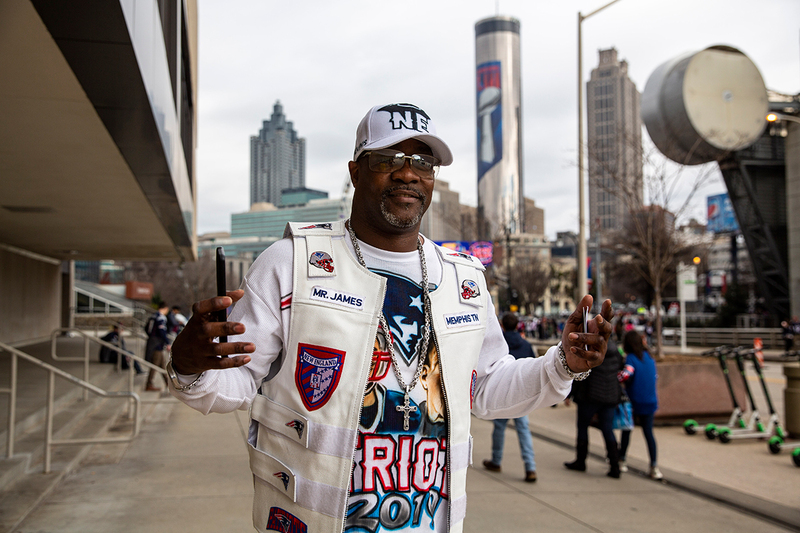 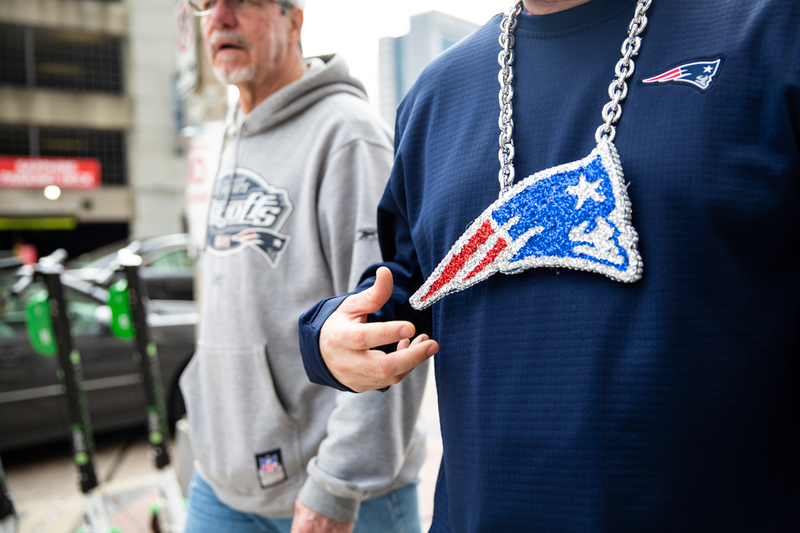 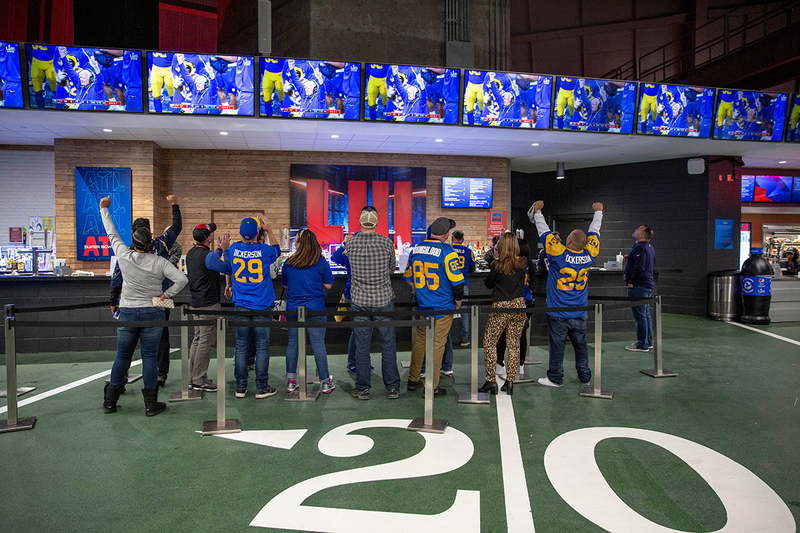 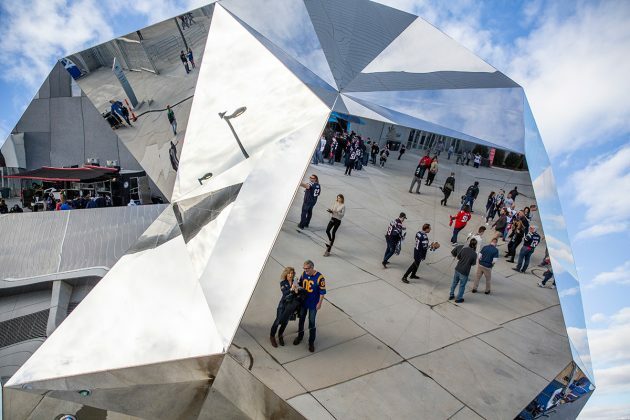 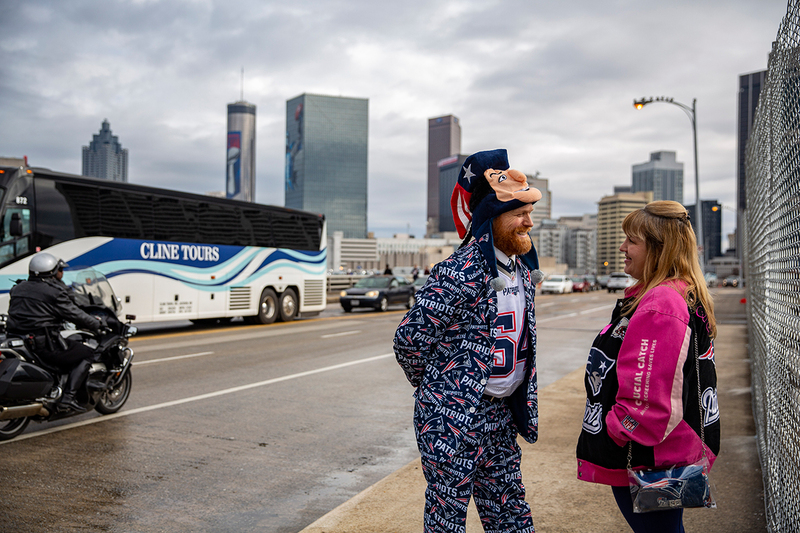 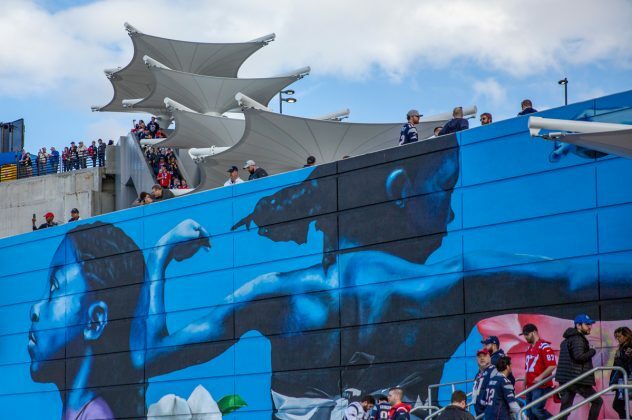 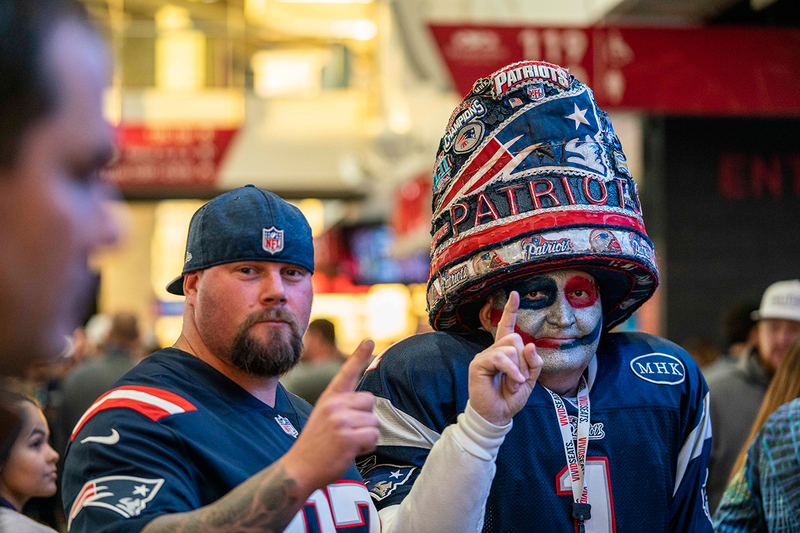 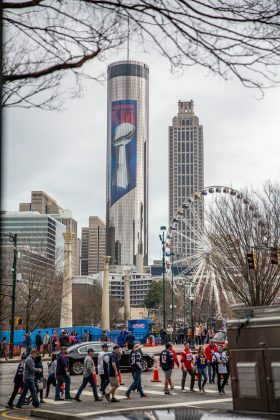 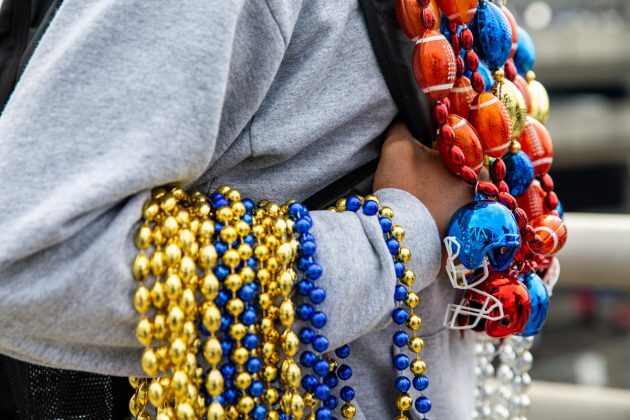 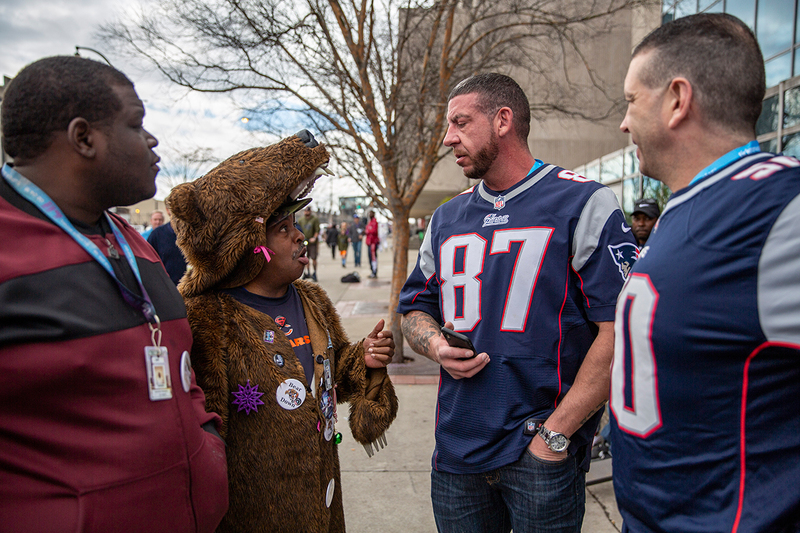 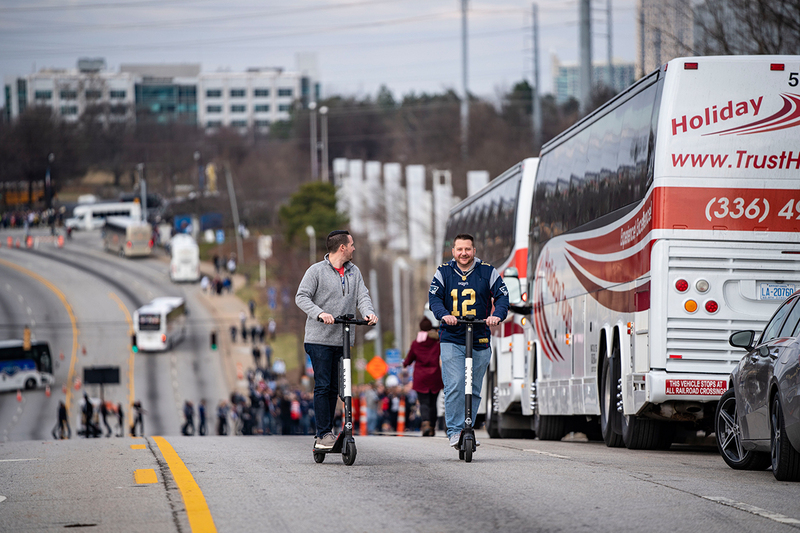 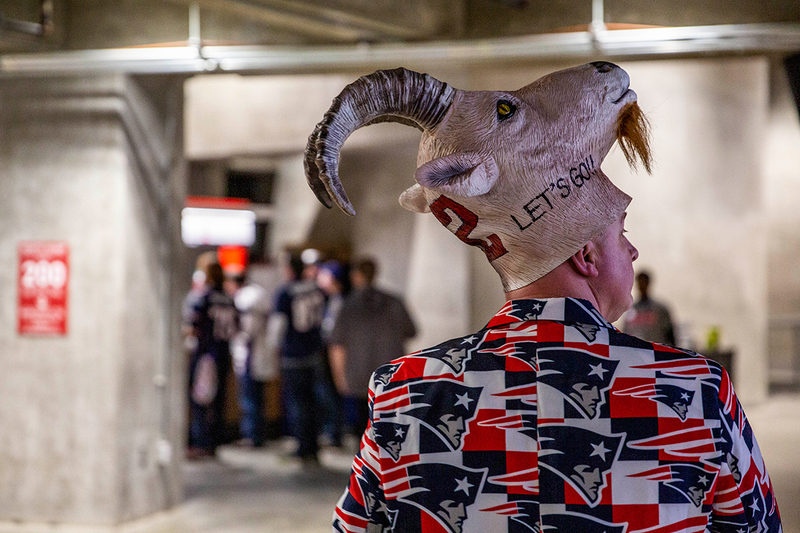 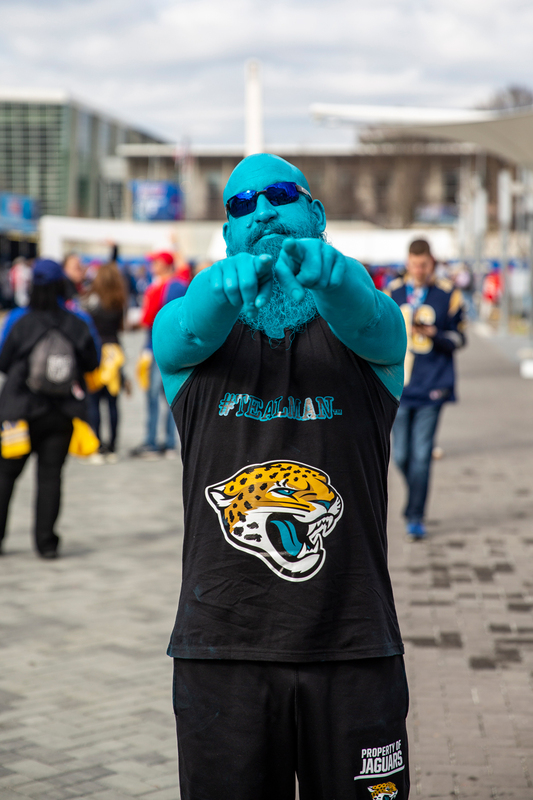 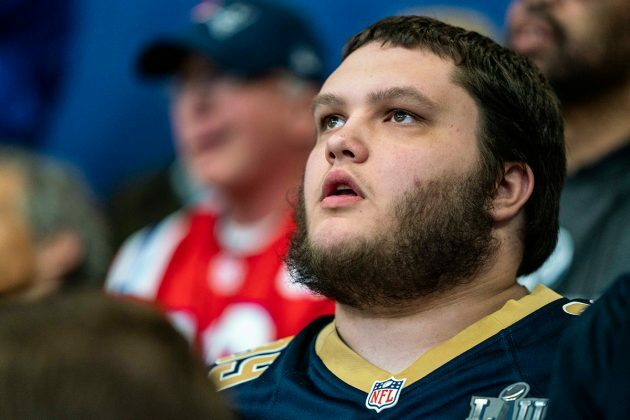 Fans arrived in downtown Atlanta long before the game kicked off at 6:30 p.m.
Patriots fans vastly outnumbered Rams fans, and Mercedes-Benz Stadium was packed to brim before kickoff—the official game attendance was announced as 70,081—as fans slowly circumnavigated the 100-level, standing in lines for the gift shop or to snag a $2 hot dog. 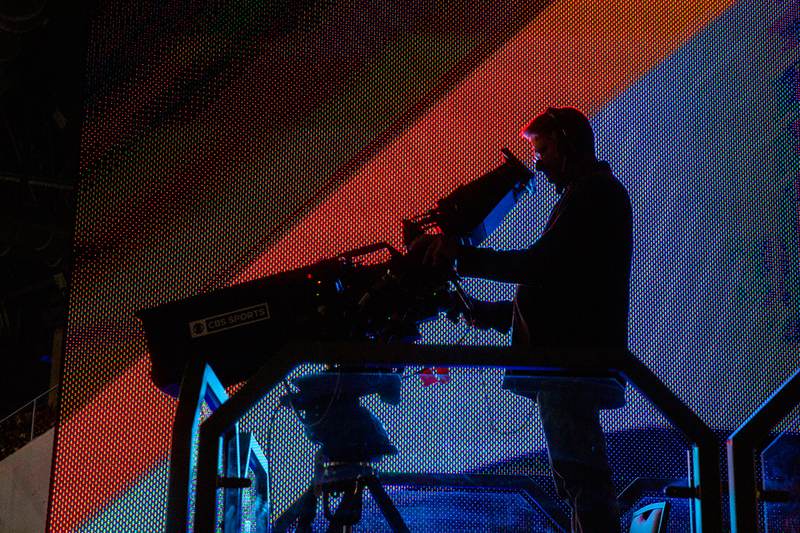 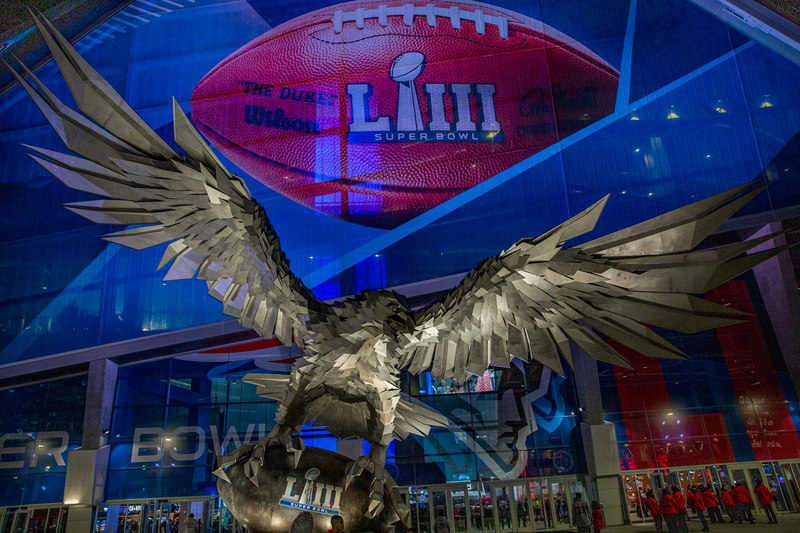 But for all the spectacle, for all the pomp and circumstance, at the end of the day, the Super Bowl is indeed a football game. 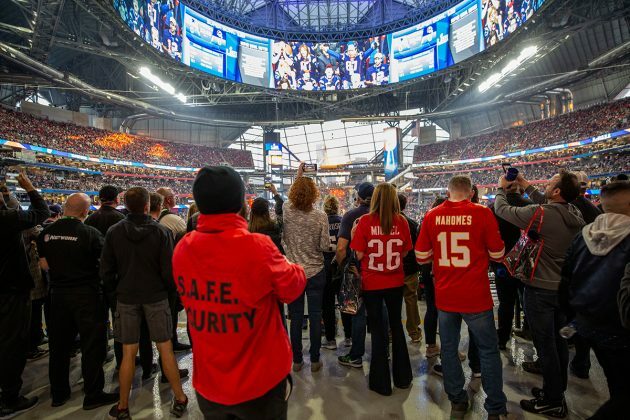 It wasn’t too unlike any other Falcons game, other than the fact that the field colors were different, that black curtains covered the Mercedes car near the stadium’s main entrance and pieces of Falcons decor, that if you were lucky, you might spot someone famous in the crowd, and that the halftime show involved Billboard 200 Chart-topping artists and enough pyrotechnics to fill the stadium with fog on into the fourth quarter.